At this magnificent Georgian house, guests can enjoy afternoon tea beside a roaring fire, stroll through 12 acres of pretty gardens, and relax in the spa. Central London is just 40 minutes’ drive away. 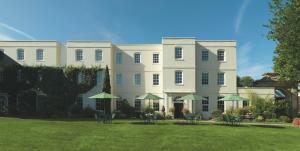 See all Sopwell House Hotel reviews..